The GearUp Camera Box is the perfect portable solution to protect your mirrorless camera kit and accessories. Flexible interior panels adjust to secure mirrorless cameras like Sony a-6500 plus additional lens with interior and exterior pockets for cords, cables and accessories. Carry alone or inside larger bags! The GearUp Camera Box fits mirrorless cameras like Sony a-6500 or Olympus Pen-F plus additional lens, camcorders such as Sony Handycam, spare batteries and charger, memory card, cables and small items. 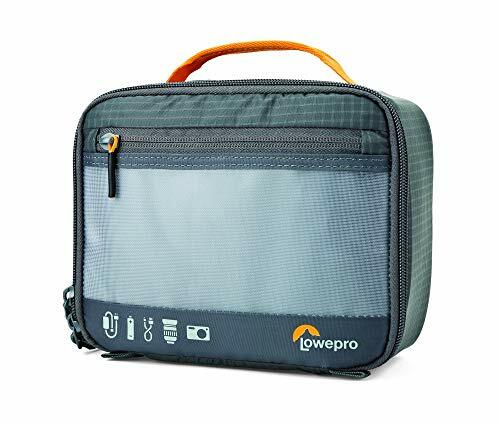 If you have any questions about this product by Lowepro, contact us by completing and submitting the form below. If you are looking for a specif part number, please include it with your message.